Flor and her husband came to the US from Mexico and started their life together. With five kids, they always had their hands full. Then Flor found herself in a situation she never imagined… domestic abuse. “I immediately pressed charges and he ended up going to prison,” Flor says. But since her husband was in prison, Flor had no way to pay rent and was unsure of how she could take care of five kids alone. When her half-sister asked them to move out, they had nowhere to go. 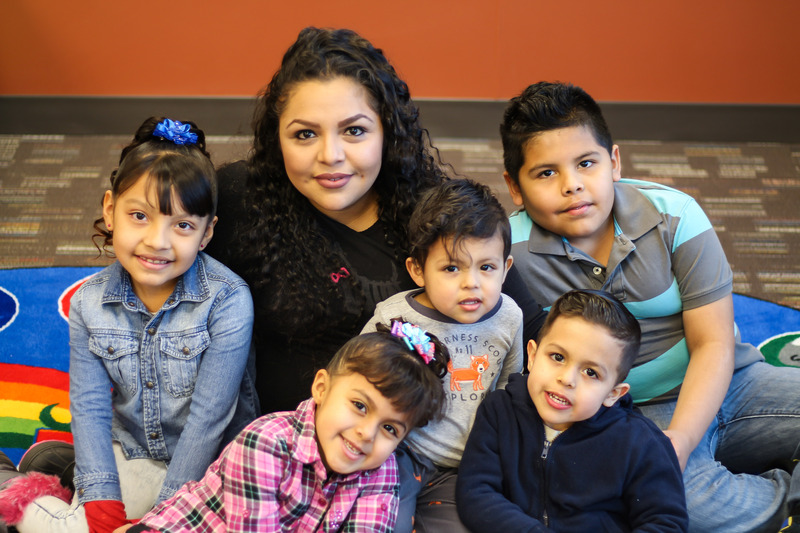 While living as a guest in our Women’s Crisis Center, Flor learned parenting skills, budgeting skills and job training, so she can confidently care for her children when they leave the Mission. “I want to find a good job. Mostly, I want to study and learn English, then possibly move with my kids to start our lives over together,” she says. Flor’s story of hope and healing is inspiring. Our Mission programs exist to help other men, women and children in the Rock River Valley find healing. Will you help provide this help to others?